It’s getting around that time of year, when the air gets colder and dryer. This means time to add exfoliation into our beauty regime if it is not already! Exfoliating is very good for your skin, and not just your face but your whole body! 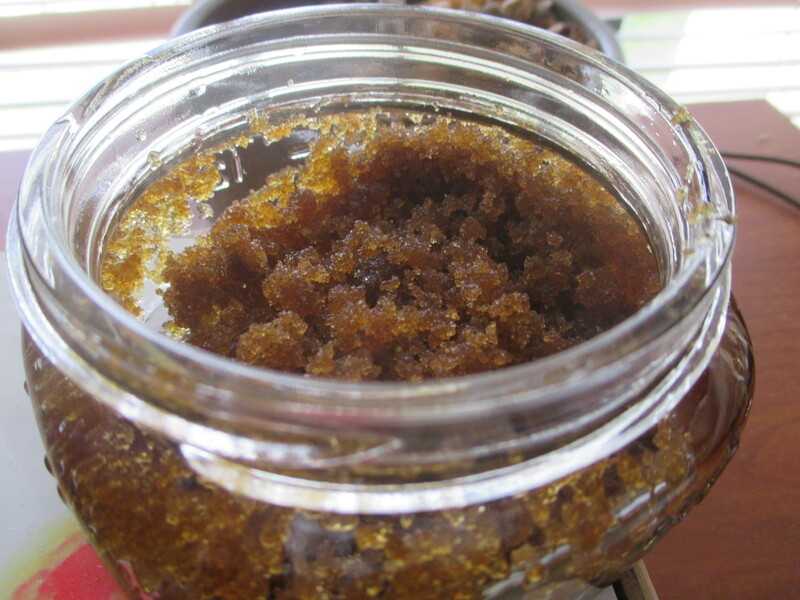 Check out this super quick and easy DIY body scrub, perfect for fall! You need sugar and oil! The sugar and oil can changed depending on your personal preference. When choosing a sugar to use, keep in mind the grain size. Smaller grains will not feel as rough on the skin, so light brown sugar would be best for sensitive skin. For my scrub I used Brown Sugar and Olive Oil. You can make how ever much of the scrub you want, just use two parts sugar and one part oil. Enjoy and have a happy fall! Yes! I did not use this on my lips but that is a great idea! Been thinking about trying this!! You should! It’s great to use in the shower before you shave, it makes your legs silky soft! Great! I will for sure try it this weekend, thank you.